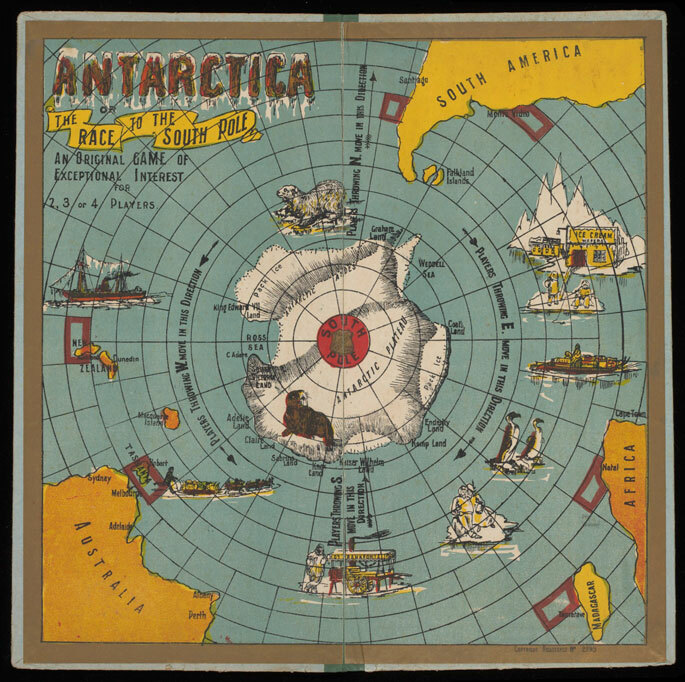 ‘Antarctica’ board game, 1913, made by National Games Company, Melbourne. National Museum of Australia. Antarctic board games of yore. The strange things one finds during game development. The above image/game dates from the time of Scott and Amundsen’s historic race to the pole. How playable or fun is debatable – essentially a roll and move. Good to know that the last time the subject matter was tackled in a board game was a 100 years ago!